Keira has worked at the Nicklin Way Veterinary Surgery since 2006, starting as a kennel hand working after school to help clean and feed patients during their stay in hospital. Having finished school, she now works full time at the surgery. Keira has successfully completed her Certificate IV in Veterinary Nursing. Keira has always loved animals and has always known that a career in the animal industry was the only way to go. Every day she enjoys learning about the different medical conditions, broadening her knowledge in reproduction, caring for and helping the animals and most of all being paid to give them love and cuddles! During her spare time Keira enjoys keeping fit at the gym, traveling the world and all the Sunshine Coast has to offer from the beach to the waterfalls in the hinterland! For company, Keira has a toy poodle called “Ella”, a 4 Paws rescued Chihuahua called “Piggy”, a hand raised rescue cat called “Jerimiah” and most recently she is fostering a 4 Paws Chihuahua called Nellie! Jasmin started nursing in 2000 after returning from college in England. She has a wide knowledge of nursing in both mixed and small animal practices. Jasmin’s special interest in animal reproduction has lead to her producing a successful reproductive service at Nicklin Way Vet Surgery. Jasmin is now Head Reproduction Nurse and works closely with Breeders from all over Queensland, from Gladstone to south Brisbane! In her spare time Jasmin enjoys trips up the beach in her 4WD, boat trips over to Tangalooma and attending dog shows! Jasmin has a horse called Phil, an Irish sport horse who loves trail rides, going to the beach and show jumping. My love for animals, all shapes and sizes, developed early – around the same time as my speech. The words “Mummy” and “Daddy” were soon accompanied by the words “horsey” & “doggy”. I have an incredibly soft spot for the stray, sick and unwanted which often leads me to adopting or fostering animals, AND in a lot of trouble with my fiance, Leon. He’s yet to find a stray Harley Davidson to adopt. Currently we have a beautiful horse (Xeina), a maltese dog (Lucy – originally a stray), a maltese-x-silky (Storm), a ragdoll cat (Roger, also a stray) and a bantam rooster (Malcom, another stray!). It’s lucky we live on acreage! My nursing career started after high school in a small animal clinic. I then went on to complete a degree in Veterinary Technology at University of Queensland, Gatton campus. Other hobbies and interests of mine include sports; oztag, muay thai kick boxing, yoga, hip hop and Latin dancing, camping, and I’m trying to learn skateboarding from Leon who’s a skateboarding coach. It’s a very slow process. In the future I hope to own our own acreage block and continue on to a hobby farm (shh…don’t tell Leon). 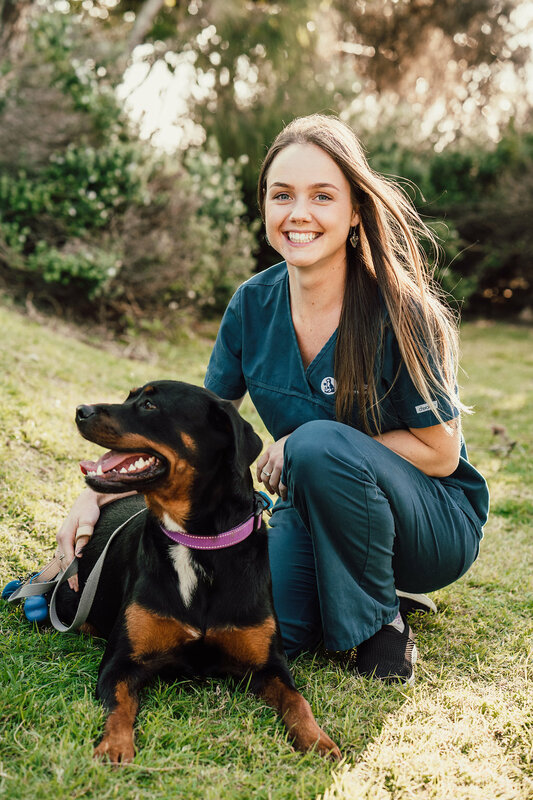 Kara has recently moved to beautiful Sunshine Coast from the Mornington Peninsula in Victoria where she was a veterinary nurse for over 3 years. Kara enjoys spending her time overseas volunteering at animals organisations, travelling and water sports. Kara is a huge Rotti fan! Her little fur baby Honey is a gorgeous young rescue! Honey knows a few tricks of the trade but her specialty is BANG! 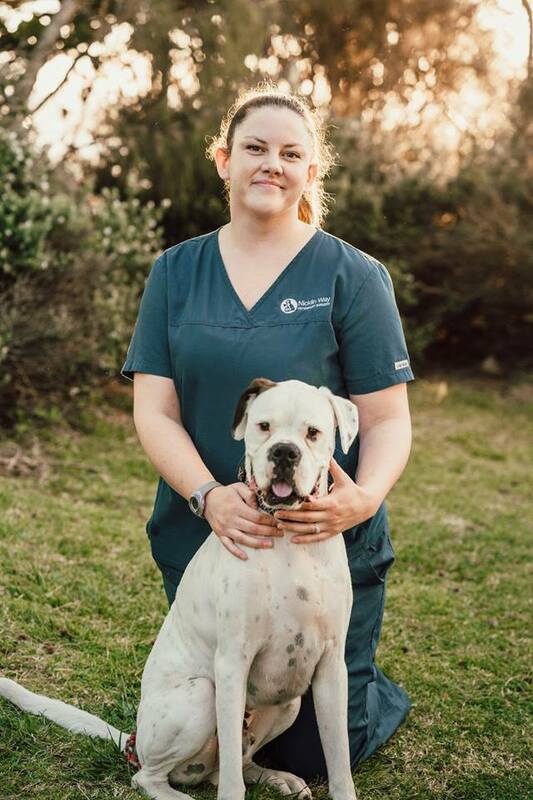 Alex joined the Nicklin Way Vet Surgery team in April 2017 after relocating from Brisbane. 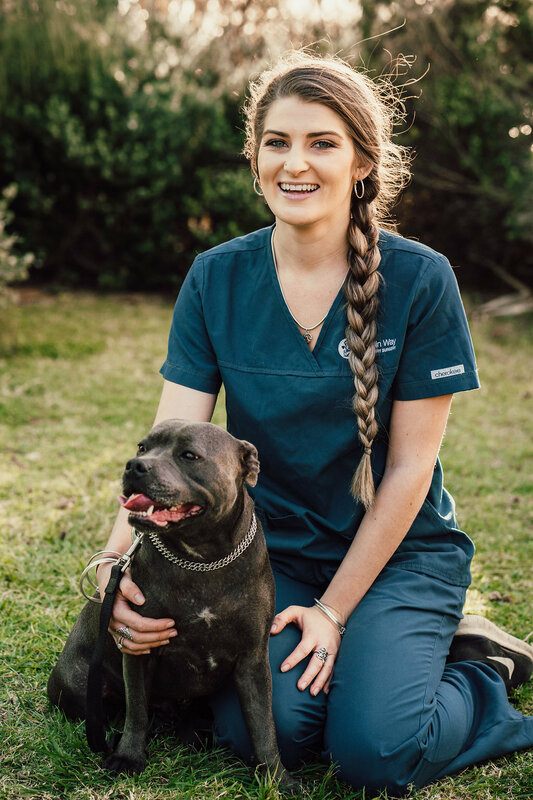 Her passion for animals began at a young age and saw her study Veterinary Technology at the University of Queensland, Gatton and in 2014 she completed her Certificate IV in Veterinary Nursing. In her spare time Alex is enjoying living back on the coast and spending time at the beach with her Border Collie Billy, and being around friends and family! Alex is excited at the opportunity to further expand her skills at the clinic and is grateful to be a part of such an amazing team! 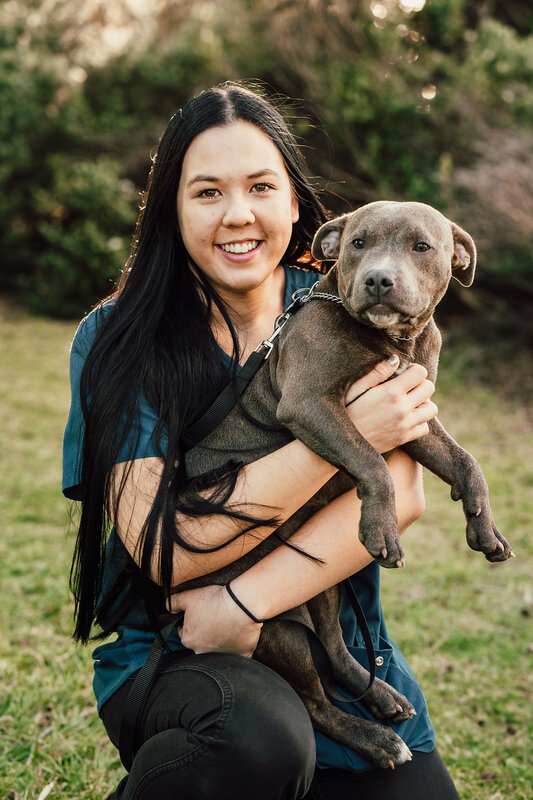 Kayla has always had a love for animals and has always been very interested in being able to help and care for them so a career in this industry seemed the best fit. 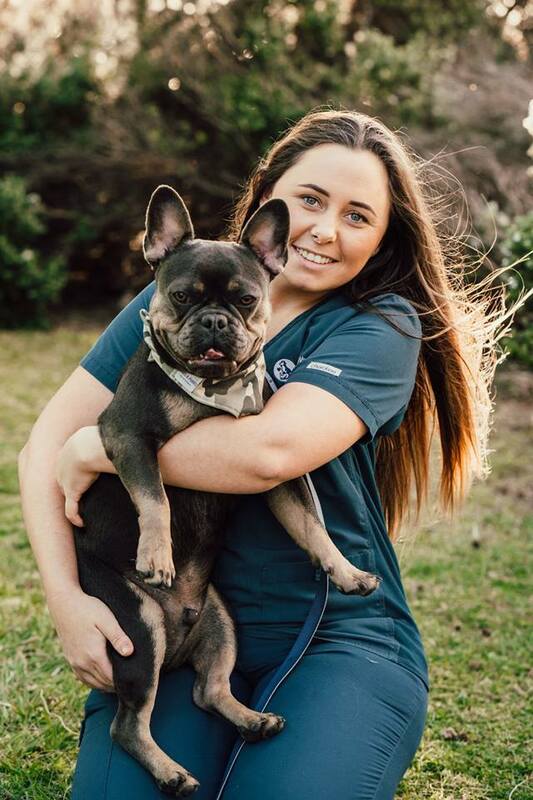 Kayla has completed her Certificate IV in Veterinary Nursing as well as her Bachelor of Veterinary Technology. Kayla works as a Veterinary Nurse at Nicklin Way Vet Surgery but also works part time at a surf shop. Kayla has 2 dogs of her own at home an Australian Shephard and a Staffordshire bull terrier but has also owned a variety of other animals including birds, guinea pigs and cats. In her spare time Kayla enjoys spending time at the beach, surfing, camping, being with friends and family and travelling. 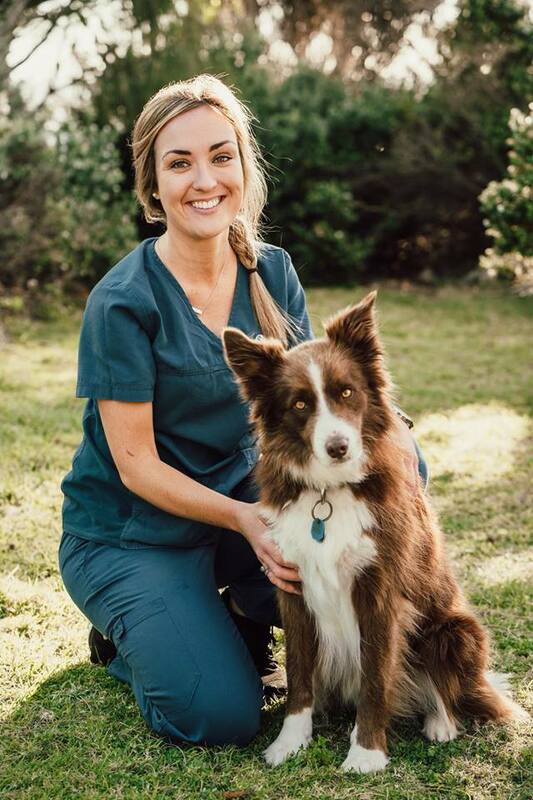 Tori has recently relocated from Bega on the far South Coast of New South Wales where she worked in a large mixed practice (working with not only small pets but large farm animals as well). 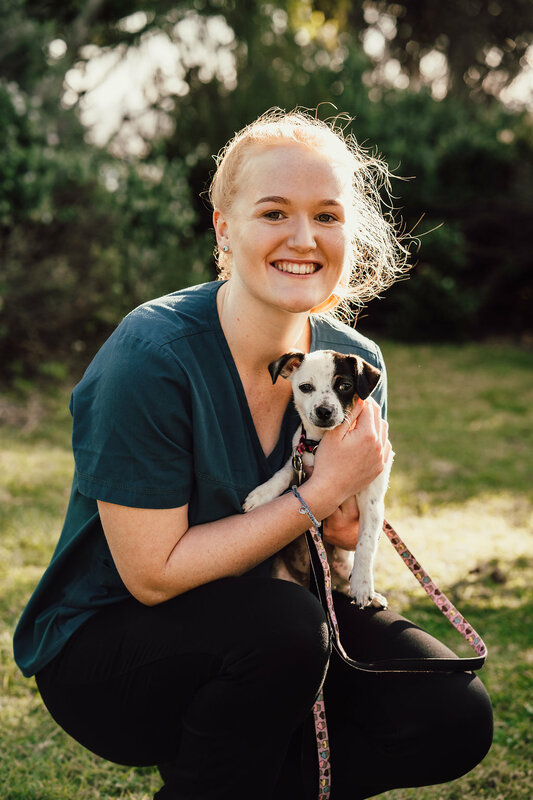 Tori has always had a love for animals however it wasn’t until her two cats “Mocha” and “Alfie” came along that her passion for working in the industry developed and she enrolled in a Certificate II in Animal Studies and started work placement at Bega Vet Hospital. Soon after she started working as a full time nurse in the same clinic whilst completing a Certificate IV in Veterinary Nursing. Tori also has a strong interest in wild animals (especially African big cats!) and animal conservation and hopes to one day work within this field and participate in volunteer programs overseas. In her spare time Tori has been busy exploring the Sunshine Coast and learning more about the area that she now calls home. 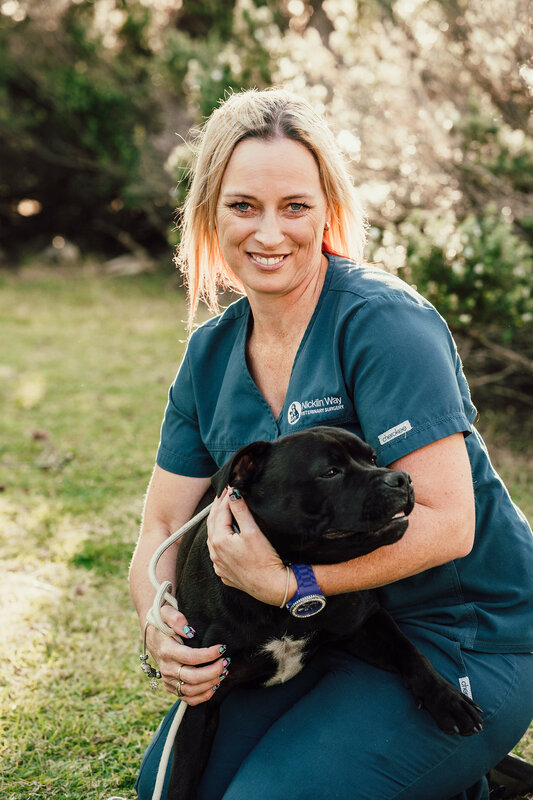 Sonya has recently joined the Nicklin Way Vet Surgery team in June 2018. She has returned to Australia after 2.5 years living and working in London while doing lots of travelling. 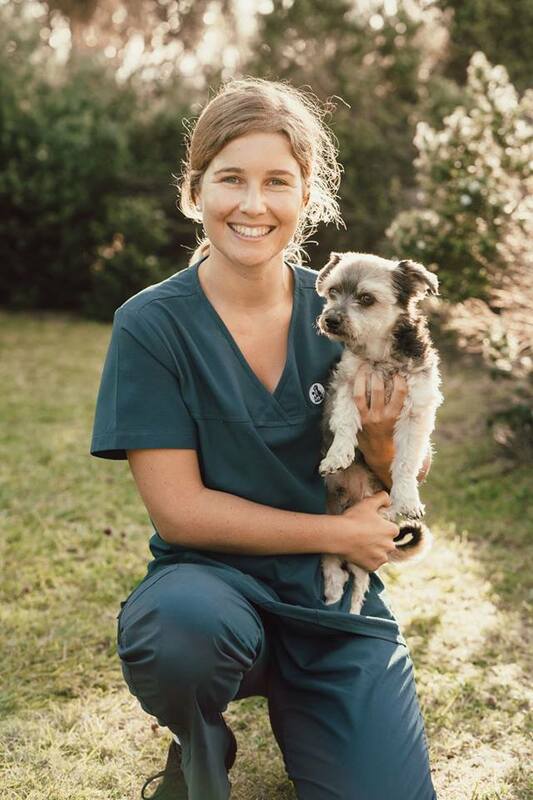 She studied Veterinary Technology at the University of Queensland, Gatton, graduating in 2012 and completing her Certificate IV in Veterinary Nursing alongside. Sonya has a keen interest in animal welfare and sanctuaries and is hoping to head back overseas and do more volunteer animal programs abroad. During her spare time it is spent adventuring and exploring what the coast has to offer or down by the beach with the family dog Ella. Ashleigh has worked at the Nicklin Way Veterinary Surgery since 2012 when she completed 1 week of school based work placement. Ever since then Ashleigh has spent most of her weekends helping the clinic stay clean and helping with caring for the patients. Ashleigh is currently studying at USC completing her degree in nursing. During her spare time Ashleigh likes to spend time enjoying the amazing food the sunshine coast has to offer and spending time with family and friends! For company, Ashleigh has a Shih Tzu cross called Lily! Morgan started working with us in 2016 as our Kennel hand. 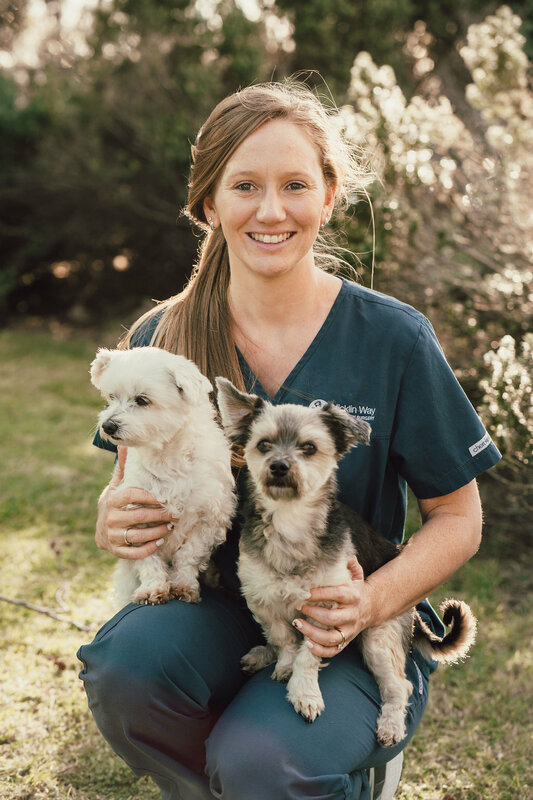 She has always had a fascination and deep love for all living creatures and has completed her Certificate II in Animal Studies working at a previous clinic. Morgan has a little cat of her own named Gizmo who has a heart condition. Morgan is now enrolled in her first year at the University of the Sunshine Coast where she is completing a Bachelor in Nursing science so she can one day help heal and care for people that need it.